There is a joke about a Polish built Fiat that I could share, but it really isn't something fit for mixed company or people with weak stomachs...so instead I'll have to share this next car. 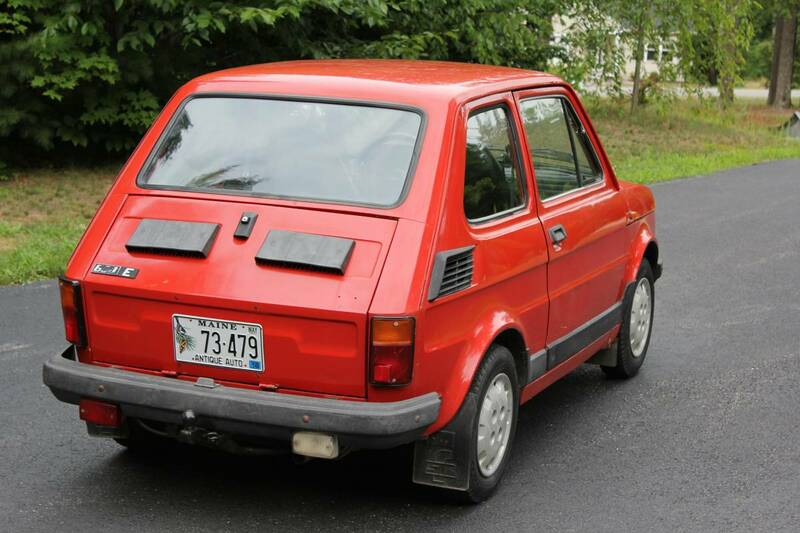 Find this 1988 Fiat 126p offered for $4,500 in Southern Maine. Tip from Ryan. The Fiat 126p was introduced in 1972 as a replacement for the original Fiat 500 and kept the classic rear-engine rear-drive setup. 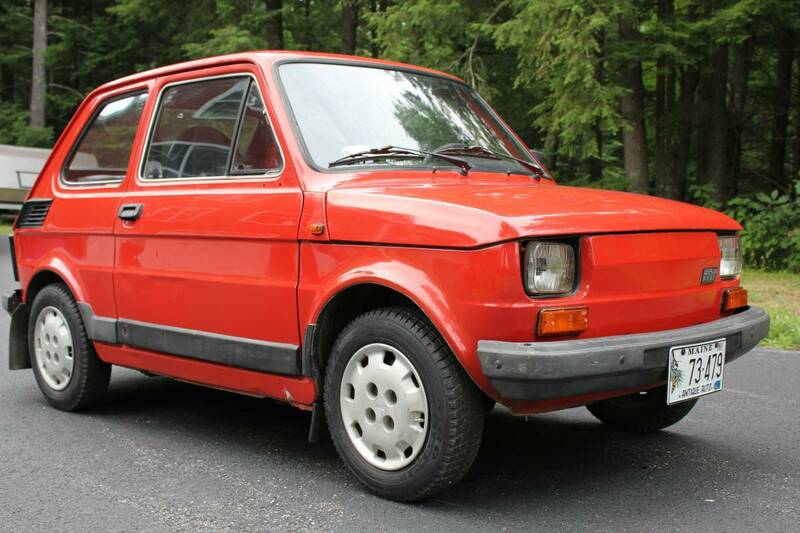 It was finally replaced in 1993 by the Fiat Cinquecento which was a front drive econobox and probably a better car in every way...but dollars-to-donuts, a true gear head will pick the 126p every time. This particular car was built by Fabryka Samochodów Małolitrażowych (FSM) in (Bielsko-Biała and Tychy) Poland under license from Fiat SpA in Italy. Hmmm, in a choice of Warsaw Pact Fiat clones, I suppose this would be more interesting than a 1988 Yugo GV. The Yugo might do a marginally better job at not holding up '80s Diesel Mercedeses in traffic, though. Now I want to know what that joke was. Also I've always found these to be strangely compelling.